Driving down Alaska’s Seward Highway on a sunny summer afternoon, you may notice people standing shoulder to shoulder, reaching big nets on poles out into the water. What are they doing out there? The answer: dipnetting! Dipnetting is a method of fishing used for catching salmon and hooligan that’s available to Alaska residents only. It entails using a long-handled fishing net up to five feet in diameter, and dipping it into a river to catch unsuspecting fish swimming upstream. Dipnetters fish from riverbanks, often waist deep in hip waders, or conveniently from a boat right on the water. It isn’t uncommon for fishermen to catch multiple fish at once using this method, and landing a double or a triple can be quite a thrilling fight trying to haul the fish in! Visitors to the state cannot partake in this activity because of restrictions set by the Alaska Board of Fisheries in their efforts to conserve and develop Alaska fisheries. The health of the state’s fisheries must balance with the demands of various user groups including commercial, sport, personal and subsistence use. So, what are dipnetters fishing for? The only types of fish that can legally be caught and kept using dip nets are king, red, pink, silver and chum salmon as well as hooligan (smelt) and flounder. Limits are set per household. A head of household is allowed 25 salmon, and for each additional household member the household is allowed 10 more salmon. Most fisheries only allow one king salmon per household as a part of the total annual household salmon limit. This means, for instance, if a father is fishing with his son they are allowed to harvest 35 salmon between the two of them, one of which may be a king. It doesn’t take long to bag an entire year’s supply of fish in a single afternoon this way. Salmon (especially kings) are the big prize here, but hooligan fishing is fun, too! Dipnetting is actually the only practical way to catch them. With essentially no limit on the amount of these small, oily fish to be caught, Alaskans can net several gallons of hooligan a day. Those that don’t get fried up for dinner make awesome baitfish for lake trout, burbot, halibut, salmon and pike. While there are many fisheries in the state that allow dipnetting, some in very rural environments and others in more urban settings, the major rivers in which it is permitted include Fish Creek, Copper River, Kenai River, Kasilof River, Susitna River (hooligan only) and Twentymile River (hooligan only). While the Kenai River may be the most popular spot for dipnetting due to its accessibility and larger salmon runs, the Copper River also breeds incredible salmon. 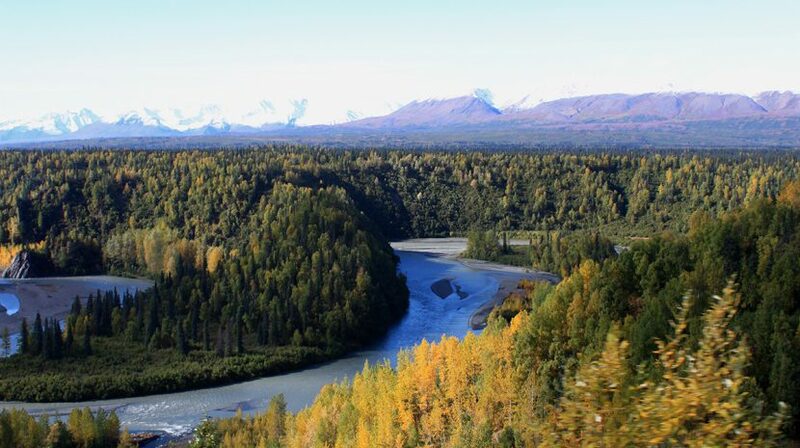 The Copper River is considerably longer than most rivers in Alaska, meaning that the salmon swimming upstream need more energy to travel the long distance and therefore tend to have higher fat reserves than fish in other rivers. Hooligan runs mark the start of the dipnetting season in early April and salmon runs tend to go all the way through the end of September. Success depends on good timing and luck. Considering the short Alaska summers, it can be tricky finding the more bounteous runs. Preparation can also be key. Checking run charts can be very useful and having the right gear is essential. It is important to care for and record every salmon caught. Recording the harvest is important because the information is used by the state to monitor fisheries and ensure conservation and sustainability of resources. If you’re not an Alaska resident, the closest you can get to participating in this fishery is to watch. If it’s meat you’re after, just make friends with an Alaskan. It’s a general custom for Alaskans to share their catch around these parts. If you’re from out of state and really want to fish in the Last Frontier, get yourself a sport fishing permit and tackle those fish on a rod and reel. Fish on!